Ready to live your dream life? You know that sneaky voice inside your head telling you that you're not good enough, smart enough, pretty enough, whatever enough? That's your Mean Girl. And she's doing her best to keep you stuck in Fear Town, too scared to go after the life you always imagined. But enough's enough! 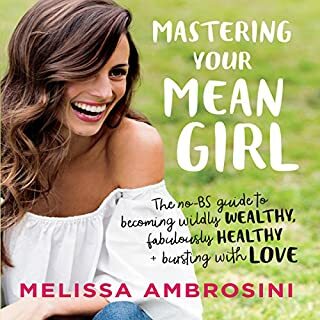 Melissa Ambrosini has made a life beyond her wildest dreams, all by mastering her Mean Girl, busting through limiting beliefs and karate-chopping through the fears that held her hostage for years. A step-by-step system for seven-figure success. 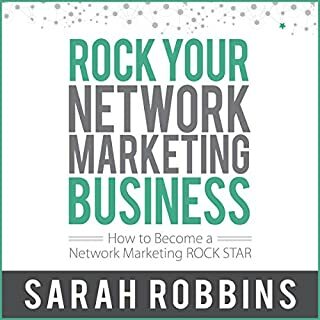 Rock Your Network Marketing Business will help you discover how to promote products, power prospect, present your opportunity, product, or service, powerfully "close", power start your new distributor and duplicate, plus much, much more. 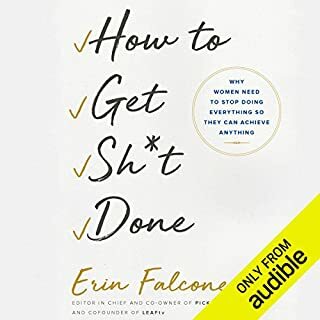 Finally, in the first productivity book by a woman in a decade, Erin Falconer will show you how to do less - a lot less. 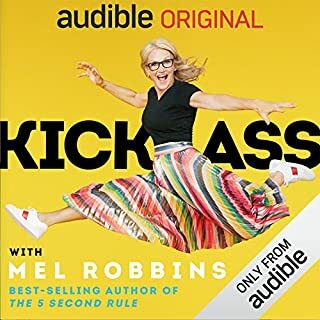 In fact, How to Get Sh*t Done will teach you how to zero in on the three areas of your life where you want to excel, and then it will show you how to offload, outsource, or just stop giving a damn about the rest. 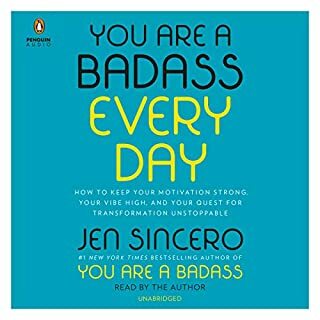 In How to Get Sh*t Done she shows how even the most perfectionistic among us can tap in to our inner free spirit and learn to feel like badasses rather than drudges. Fenton and Waltz, authors of the best-selling book, Go for No! 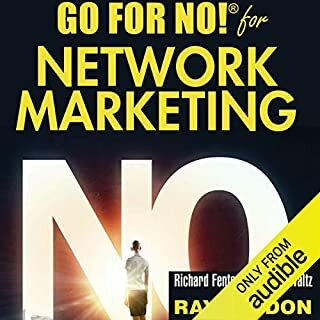 and Ray Higdon, founder of one of the fastest growing network marketing training companies today, have teamed up to create the perfect companion to the original Go for No! book. 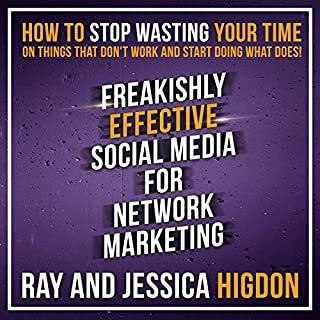 This book takes a journey through go for no philosophies and strategies and expands them into greater detail while applying Ray Higdon's expertise on each subject. A must have for every Network Marketer!! The posture to confidently connect with anyone about your business and your products. The possibilities for a lucrative, efficient, and enormously rewarding turn key business. The power that's already within you to build the life you really want...if you dare. ©2016 LiveFullOut Media (P)2017 Audible, Inc. 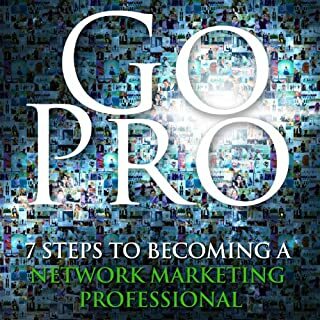 This book is a great starting point for new business partners in the MLM, network marketing world. Actually, it's great for anyone at any point in their journey. 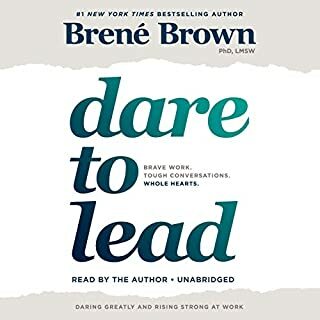 Just starting, it's full of amazing advice and eye-opening revelations. Further into your business, it's a great at reminding you of why you started in the first place, taking a closer look at yourself and your daily practices, and really making you assess what's working and what isn't. 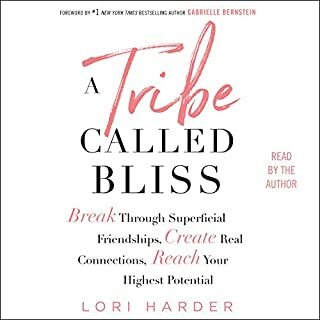 I highly recommend this book to anyone in the MLM world. Life changing business if you’re interested in multi level marketing. Typical mlm biz not coming right out and stating that. Constant references to her cosmetic company without naming it. 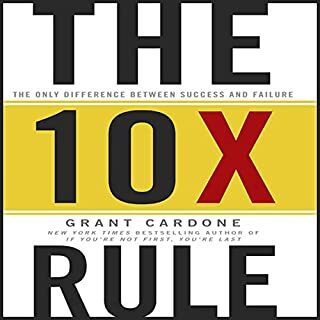 This book is what I need un my direct sales business. I have been struggling with my own fears of everything. it's just an excuse and I am hoping this will turn around my mindset. I love my pure romance business and I will be selling into my retirement home years! This book was very helpful for a newbie to the direct sales business. It was easy to follow and apple the strategies to my own business. 100% recommend this to anyone in network marketing! Romi has an amazing tone and a great personality. 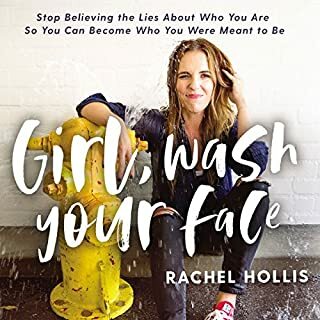 She helps you get over your BS and become coachable enough to kick a** in this industry! Such a wealth of knowledge! If you could sum up Get Over Your Damn Self in three words, what would they be? It doesn't matter if you are involved in network marketing, or even if you are thinking about it. 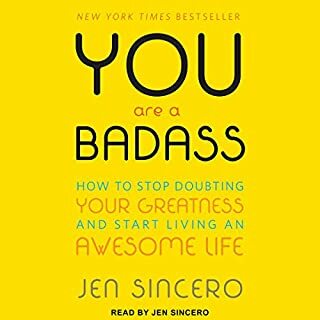 This book is REALLY about authenticity and achievement. I love that it is told in such an entertaining and honest way. This is one I will be listening to over and over. JUST LOVE IT. People selling Mary Kay, Amway, or Herbalife. 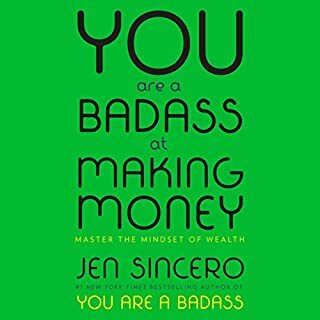 Something more geared to who I want to be as an entrepreneur; something more like Jen Sincero or Sarah Knight. What didn’t you like about Romi Neustadt’s performance? I found her tone to be a little snotty, and I just didn't connect with her message. I felt her book was not for me whatsoever. 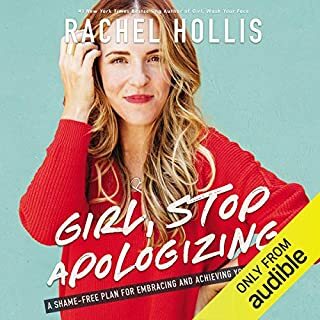 Hugely disappointed, especially given all the blogs that feature this title as "Books Every Girl Boss Must Read. ", etc etc. It's desinged as a marketing network tool. this is not really a general business related book as it focuses on building a successful marketing network business. it's fine if that's what you're looking but it's not for me. I fast forwarded most chapters as I really couldn't relate to her teaching. 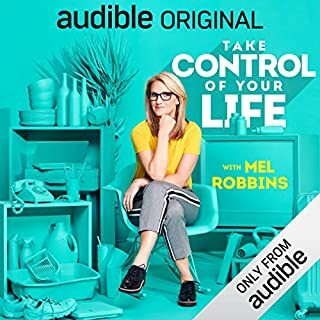 I'm sure some people will benefit from it but I wished I would've known that before I used my audible credit. 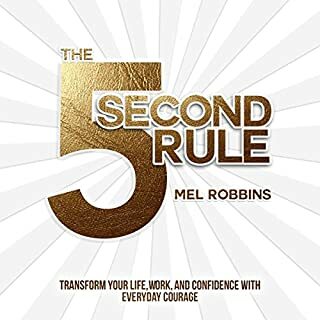 I read the description before buying this book, but it doesn’t say that this is a book to help you succeed in MLM businesses like Mary Kay and Herbalife. I wanted a straightforward “how to succeed” in business book but this was not it. This is about convincing people to be on you “team”...not what I wanted. Great advice, a lot of swearing. Loved the book for the advice, but I couldn't listen to it around the children with the swearing. A Must for Work from Homers!!! Get Over Yourself!!!! It's really all about that. Since there are no characters, I would say just listening Ms. Neustadt's experiences in business & in network marketing were entertaining & helpful. Which character – as performed by Romi Neustadt – was your favorite? She was just the best!! She is funny, blunt & really breaks down working a home bases/network marketing business. I loved it. It did make me laugh. I also found it very useful!! She has great tips & advice!! I have my own network marketing business. This book is just a must for anyone in the biz. This is an essential for anyone with a home business or in network marketing. I highly recommend this book!!! I missed in the description that this was for network marketers but fortunately that was okay. I also knew from the title that would be plenty of bad language, but I grew weary of it and found it unnecessary, especially the ‘f’ word. But I picked up some interesting ideas. Would you listen to Get Over Your Damn Self again? Why? 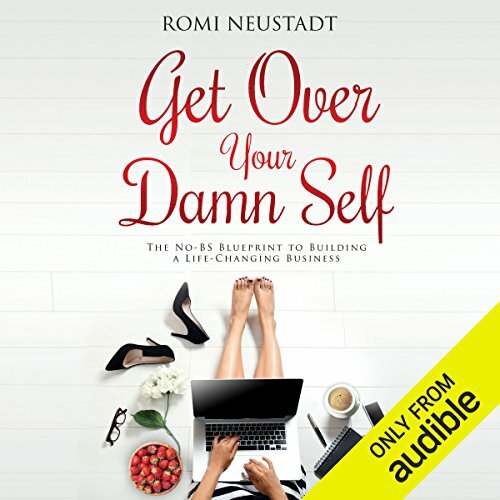 Romi Neustadt in a no nonsense manner that only she can deliver; gives you the keys to running a successful business no matter what industry you are in. She doesn't let you subscribe to the fact that because you are a mother, wife, daughter, etc. you can't have the life you want. She makes it clear that YOU are responsible for your life and the sooner that you build a bridge and cross over to the other side and stop waiting for someone else to rescue you, help you,and fix you, the better off you will be and the sooner your life can move forward and you can have all that you think, desire.and want. YOU must choose it and YOU must put in the work to get it. I have listened to Get Over Your Damn Self 8 times in the last two weeks!!! I cannot thank you enough for writing this book. I am learning so much! 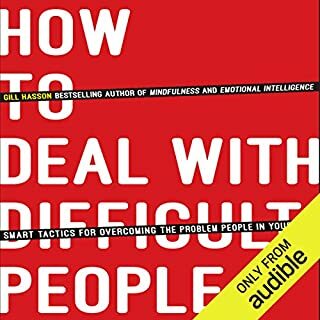 If you are having a hard time in your business this is the book for you. Every time I listen to it I learn something else. Thank you, Romi!! !